Jet Ski Trailer Bunks. Using Plastic Bunks With Jet Skis. 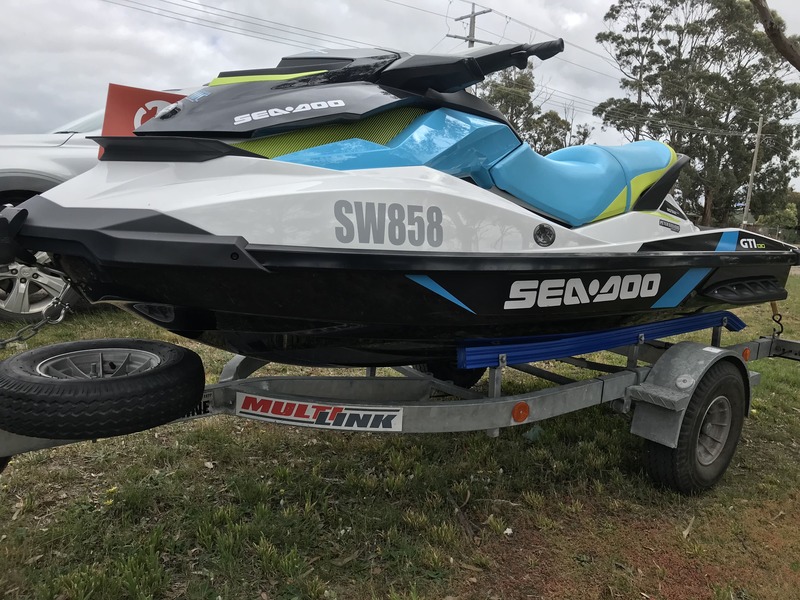 One of the more popular water activities here in Australia, and getting more and more popular every year is the use of Jet Ski’s or PWC water craft. 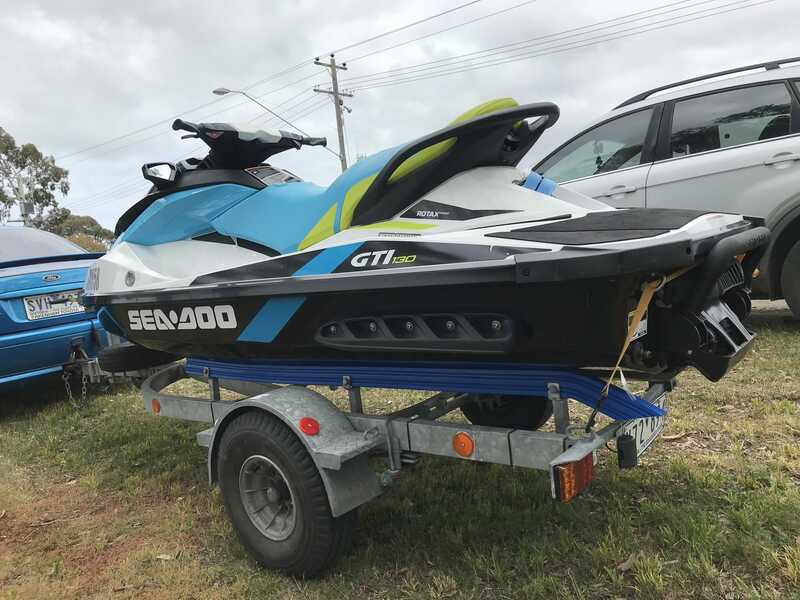 Jet ski’s are reasonably affordable compared to a boat and offers great fun for your self and family when taken out on the water! As with alot of boat users; one of the more common questions we often get asked is: Can plastic trailer bunks replace existing carpet bunks or roller systems? The simple answer when referring to jet skis is yes. When using plastic boat trailer bunks with jet skis or PWC water craft, like boat trailers, you need to ensure the bunks are installed correctly. 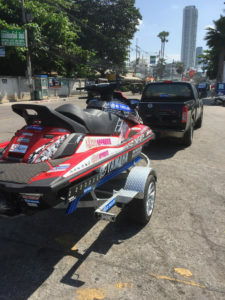 What we mean by this is; when you install the bunks onto your jet ski trailer, you need to ensure that the jet ski will be sitting on the flat spot of the bunk. You do not want your jet ski resting on the corner of the bunk. This will add to much weight and pressure to the ski, and could cause potential issues to the gel coating of your ski. However, due to the limited weight as a whole of your ski vs a boat; when resting the ski on the flat spot of the plastic bunks, the launch and retrieval process works great with the these plastic profiles! One of the other common questions we get asked when discussing plastic bunks on jet skis is the colour of the bunks. Alot of people often refer to colours when trying to identify parts to use with aluminium hulls or fiberglass hulls. This statement used to be somewhat accurate when talking colours. In the past it was always red boat trailer parts were to be used on fiberglass hulls while blue products were for aluminium. To help clear the air. This is only part accurate. Colours are generally only used to identify keel rollers. Red rollers are often manufactured out of a material called polyurethane. The properties of polyurethane make the material slightly softer in nature than the harder blue rollers which make them more user friendly towards fiberglass hulls. While on the flip side, blue rollers are often manufactured out of HDPE polyethylene which can take the wear and tare of aluminium hulls better than urethane. When we realize the above, alot of people often talk about skids and bunks in the same way. That if your going to use plastic skids on your boat or jet ski, you need to use red material. This is incorrect. When skids and plastic profiles are manufactured. They are done so using all the same material. The only difference is the colour. When polyurethane rollers are made, they are done so using a material that is poured into a die or mold that forms the roller. With skids and bunks, due to their size; this can not be done. The only method to produce these products is via a proprietary extrusion method. As such polyurethane can not be used, and we must stick to the harder materials. Explained above on how to install the bunks and skids correctly, this process has little to no effect on fiberglass hulls if installed correctly. 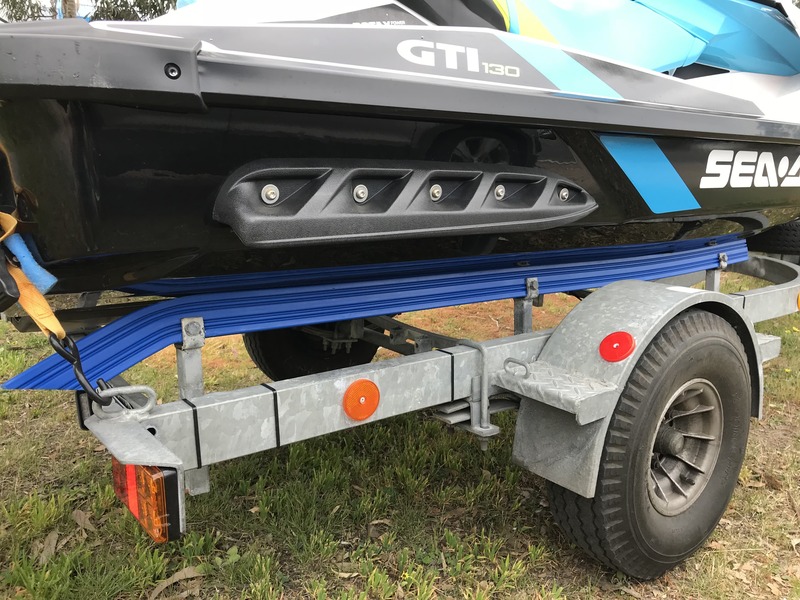 If you have further questions or require additional support about using plastic trailer bunks with your jet ski trailer; please get in contact with us as we are more than happy to assist you. Shop Plastic Trailer Bunks For Jet Ski Trailers!